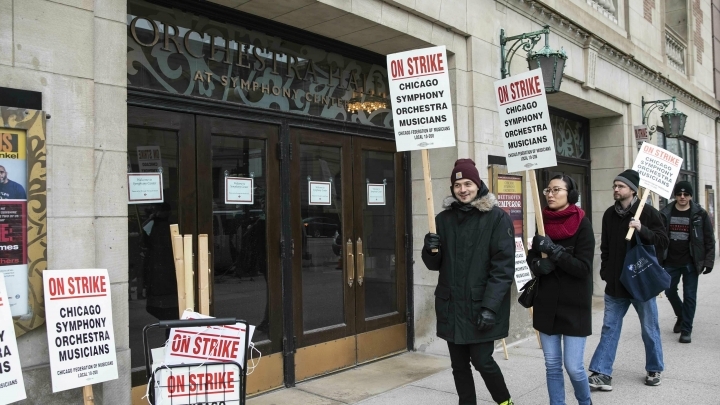 CHICAGO — Striking musicians at the Chicago Symphony Orchestra are grabbing picket signs instead of piccolos after a lack of progress in contract talks. 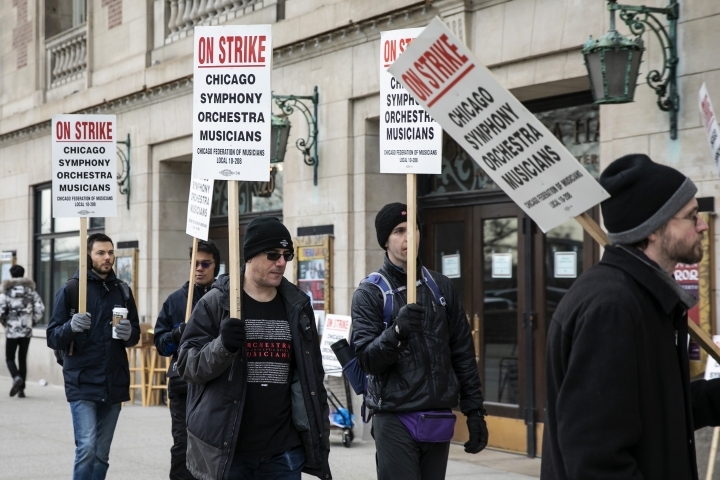 The musicians picketed Monday in front of Orchestra Hall, a day after announcing they were going on strike. They say management is trying to reduce their pension benefits after nearly a year of negotiations. The previous contract expired last September and had been extended to last weekend. 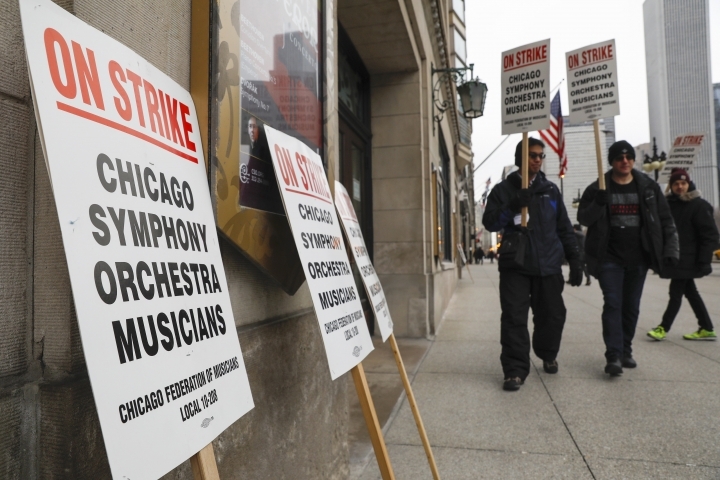 Jeff Alexander, president of the Chicago Symphony Orchestra Association, says management is disappointed by the strike. 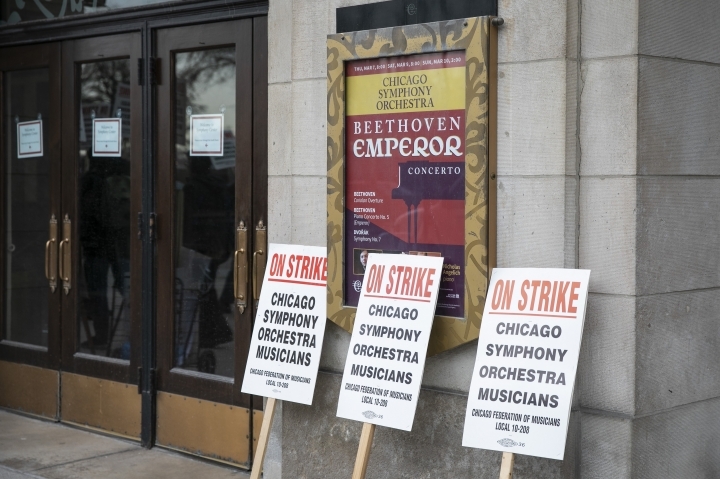 The orchestra says in a statement that musicians are making demands that are "unreasonable and detrimental." 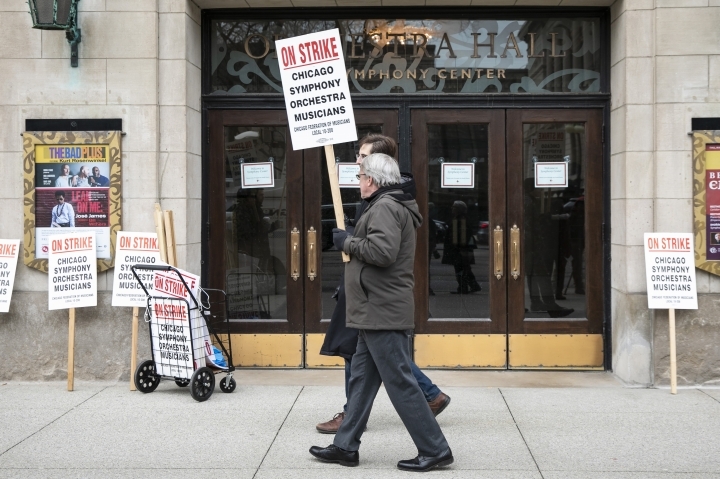 The orchestra acknowledges that retirement benefits are at the center of the dispute. The average annual salary is $187,000.